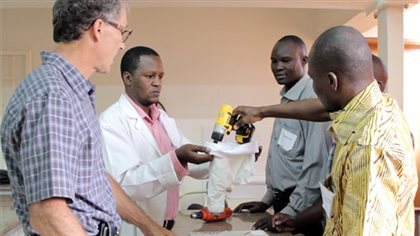 Some medical-engineering students at the University of British Columbia have come up with a unique, simple low-cost solution to a long-standing medical problem facing surgeons especially in developing countries and in emergency conflict situations. The students who have founded their own medical company to promote this new surgical drill cover. 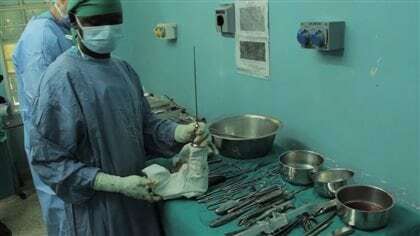 An operating theatre has many surgical tools that perform functions on bodies such a saws, hammers, drills and more. 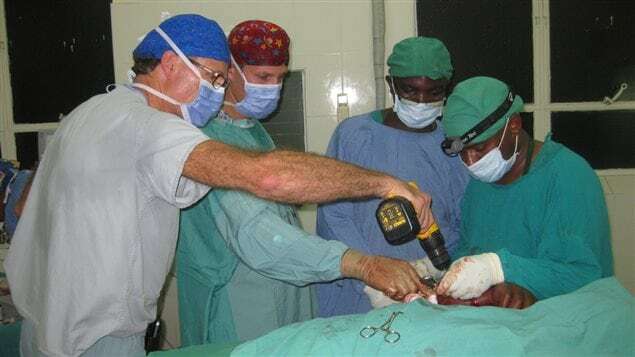 A typical surgical drill for example can cost $30,000 dollars or more, but basically performs the same task as a hardware store drill. The surgical drill however is designed to be repeatably sterilized, something virtually impossible with a low-cost consumer drill. The UBC students however have solved that problem, with a complete cover which can be sterilized repeatedly, combined with a low-cost cordless drill with similar speed and torque characteristics as the surgical models. Not only that, but a typical stainless surgical drill has to be sterilized in a time-consuming process after each operation. The new drill cover however can be quickly removed, replaced with another and the drill ready for another operation immediately. This is an enormous advantage in a situation where there has been a disaster and many operations need to take place quickly. 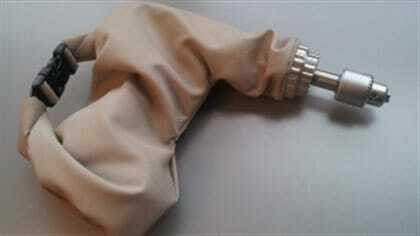 Thus, one low-cost drill can in essence perform the work of several extremely expensive drills. Florin Gheorghe says the costs for a kit with their innovation of drill and several covers can easily be ten times less than that of surgical drills, in addition to providing greater versatility. He says reaction so far has been very positive, and they are now fine-tuning the innovation through trials in several surgical situations. He says thanks to mentoring and funding from a variety of sources such as Grand Challenges Canada, the UBC Sauder School of Business and its Coast Capital Savings Innovation Hub, they expect this exciting innovation will be available for wide-spread distribution next year, both for commercial sales, and if and where possible free distribution to needy situations.